The last two months have been a blur of knitting. During the summer my Salish Collection was very popular, and as we moved towards fall, pieces showcasing the maple leaf motif have been in demand. Coffee Sweaters have been knit by the dozens. All in Canadian produced yarn that have been dyed in natural dyes. 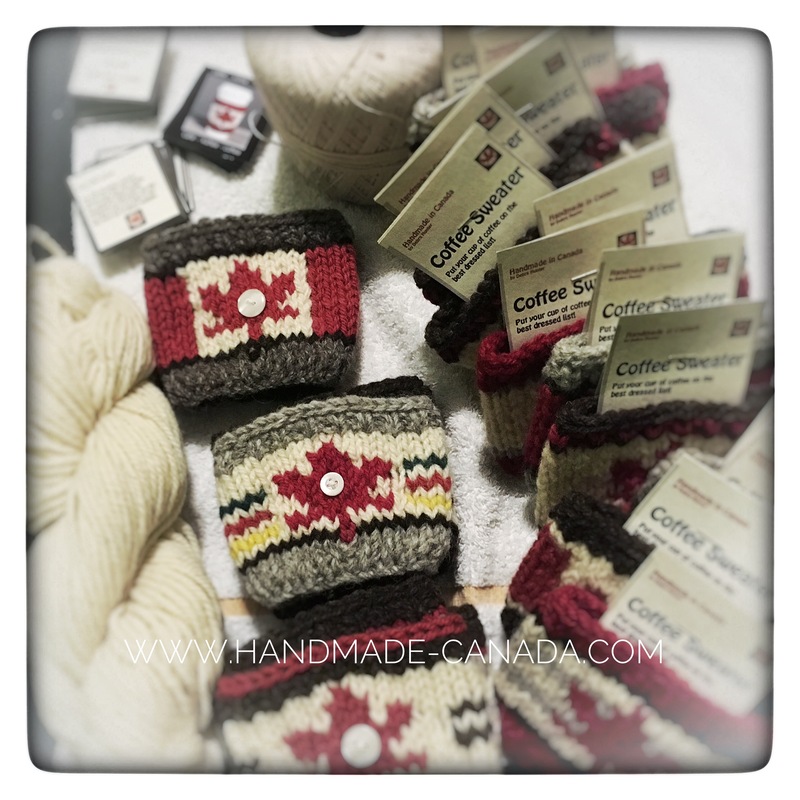 Coffee Sweaters being finished and packaged. My packaging shares a bit of the story behind the product. It describes my commitment to using wool from Canadian sheep, that is milled here in Canada. The packaging also describes how I hand dye the wool in natural dyes, plus the fact that each item is knit by hand. I think it is important to share the concept and process behind the product. Coffee Mug Sweater in progress. 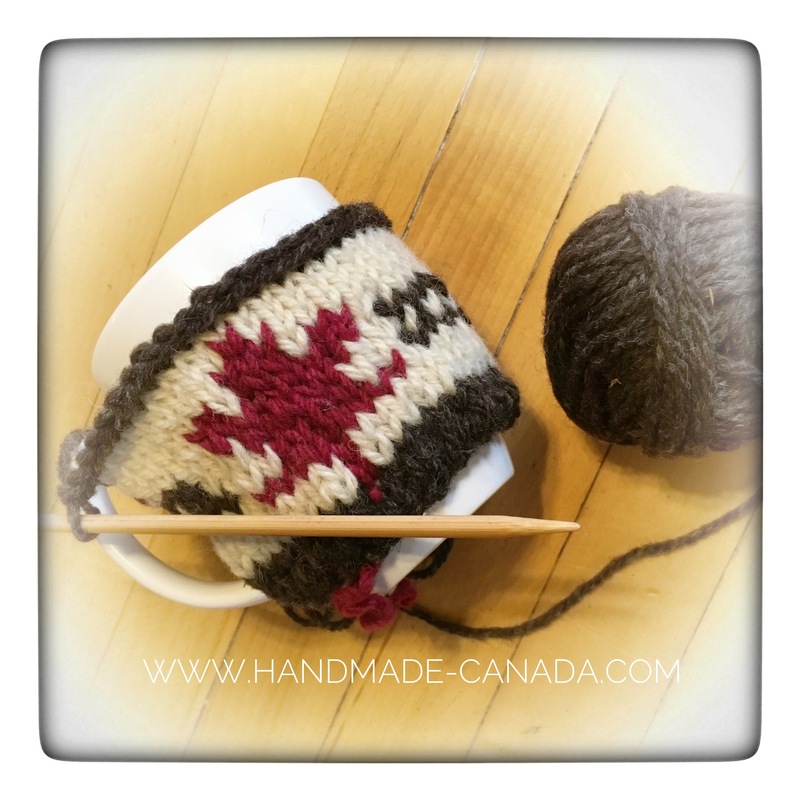 It is interesting that using the maple leaf motif started with a customer’s special request. 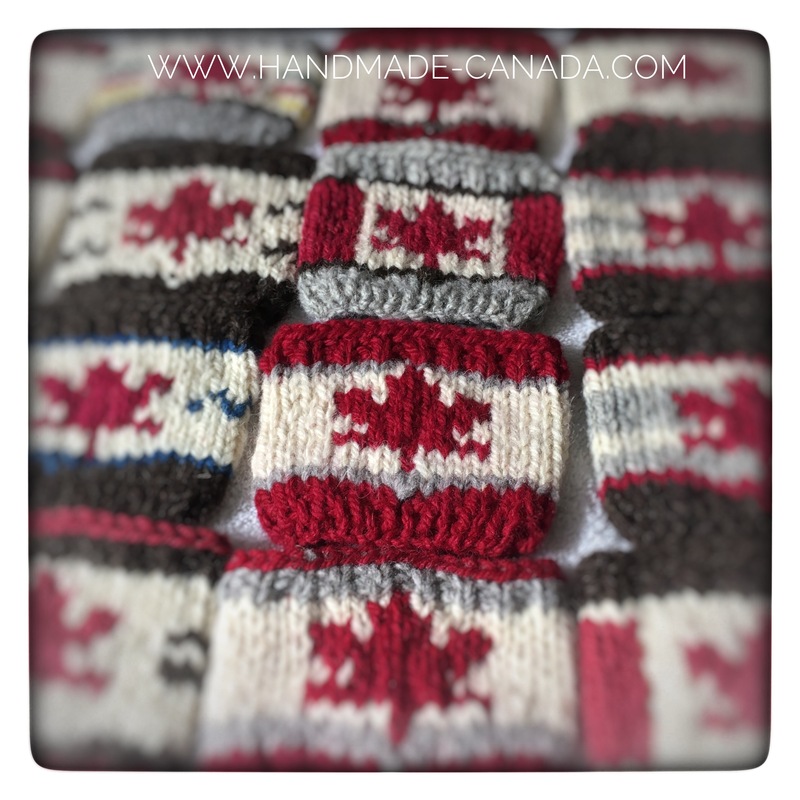 These pieces have now become a favourite for those looking for a knit with a Canadian theme. Visit us on Instagram at @handmadeincanada .